Below we’ve gathered a few basic facts to help you understand what an undercharge and an overcharge of refrigerant mean, and why either situation is dangerous. The refrigerant is a very important part of an HVAC or refrigeration system. During the cooling process, the refrigerant undergoes two isothermal phase changes: First, the refrigerant changes state from liquid to vapor, absorbing and transporting heat away from the environment. After the refrigerant releases the heat into the outdoor air, it condenses back into liquid. This change of state allows HVAC and refrigeration systems to maintain pre-set values throughout humidity- and temperature-controlled spaces. Although the refrigerant changes state repeatedly, it doesn’t get used up. As a result, the same amount of refrigerant should last for the entire life of the system. The factory-set amount of refrigerant required by an HVAC or refrigeration system to run at peak performance is commonly referred to as system charge. A system is undercharged when the amount of refrigerant is lower than the recommended factory-set level. Conversely, a system is overcharged when it has too much refrigerant. Many people wrongly assume that a lack of refrigerant is the main cause of decreased cooling capacity. Thus, a system may become overcharged when a non-professional attempts to fix a presumptive cooling problem by adding more refrigerant, without considering other factors that could negatively affect system performance. An undercharge of refrigerant is more common and often results from leaks throughout the system. 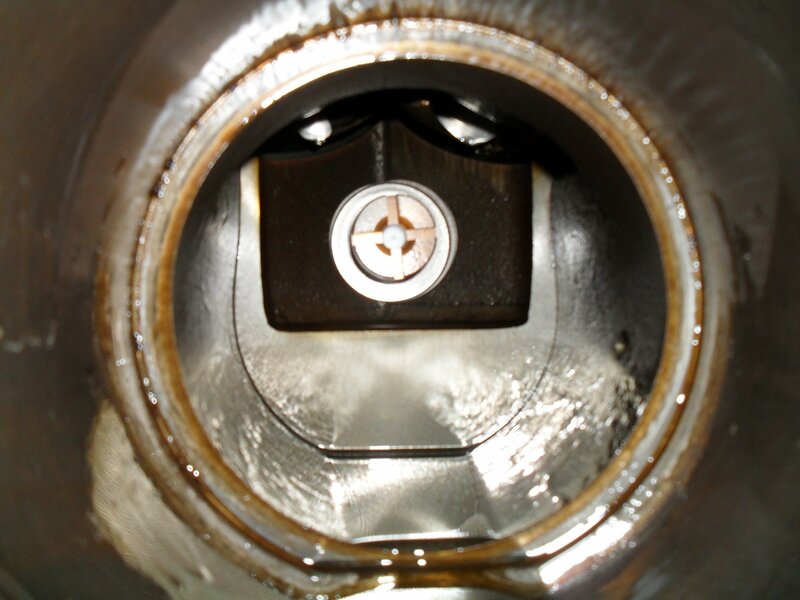 If you see any leaks, you should call in a technician to find and fix the issue as soon as possible. In case of hidden refrigerant leaks, the problem may go unnoticed until your system’s capacity drops. A compressor that has trouble starting or a circuit breaker that keeps tripping. In a properly charged system, the refrigerant is also cooling the electric motor. Low refrigerant levels could cause overheating of the motor. This may prevent the compressor from starting or cause the circuit breaker to trip prematurely. Left unchecked, the motor will eventually burn out and fail to run at all. A compressor that sounds louder than usual. 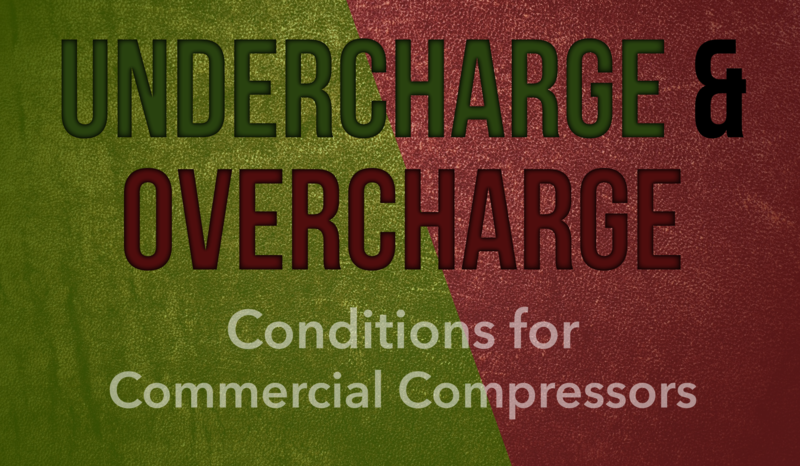 Both undercharge and overcharge conditions also decrease the efficiency of compressors, which will lead to higher operating costs. For commercial HVAC/R equipment to work properly, it’s extremely important to have your system serviced regularly by a professional technician who can correctly diagnose and fix different system problems. In addition to checking the system for signs of refrigerant undercharge or overcharge, a certified technician has the proper knowledge and the tools necessary to measure the compressor discharge temperatures, condenser outlet temperatures, evaporator outlet temperature, compressor volts, compressor amps, evaporating pressures, and condensing pressures. All these readings allow technicians to thoroughly troubleshoot any HVAC/R system.